and, finally, an update on my new studio. 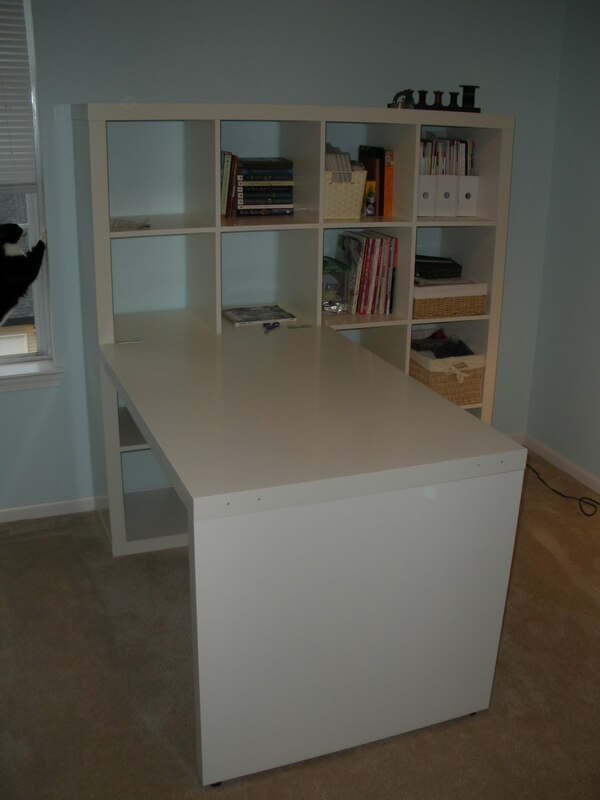 My sweetie picked this number up for me on his trip to the Twin Cities last week, and we assembled it together on Sunday (and he installed a ceiling fan for me): I love Ikea, and I’ve been admiring this Expedit bookcase and desk set for a long time. This will be my new sewing table. I think it’s big enough to have my Pfaff on one side and my Featherweight on the opposite side. I’m loving the idea of filling up all those cubby holes with books, fabric, and other goodies! Okay, so I just love the Kiwi Kisses! Beautiful and the perfect pattern. I have to say that I have the same set up with the IKEA desk and Expedit case. It is just perfect for my sewing machine and projects. You are going to love it! Hi Doris! 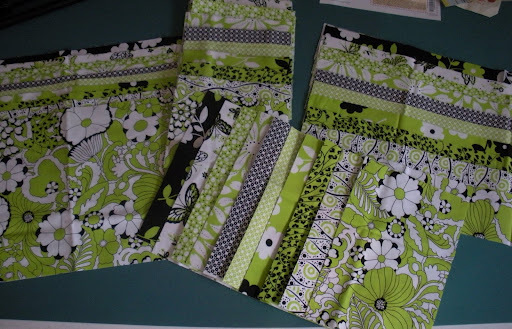 I used the same fabric to make a bag! Check it out on my Sept. 2 http://www.FlourishingPalms.blogspot.com post. 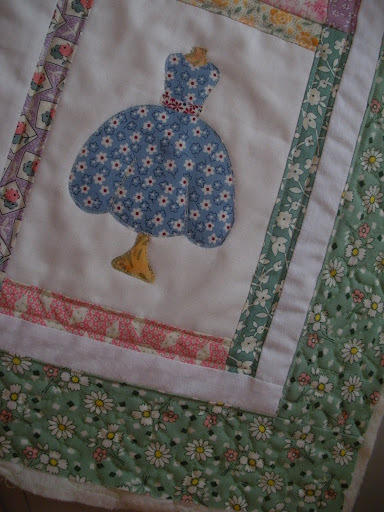 Love your little dresses quilt too. And the new sewing space looks awesome! I've heard a lot about Ikea furniture, but this is the first I've seen. Very nice. 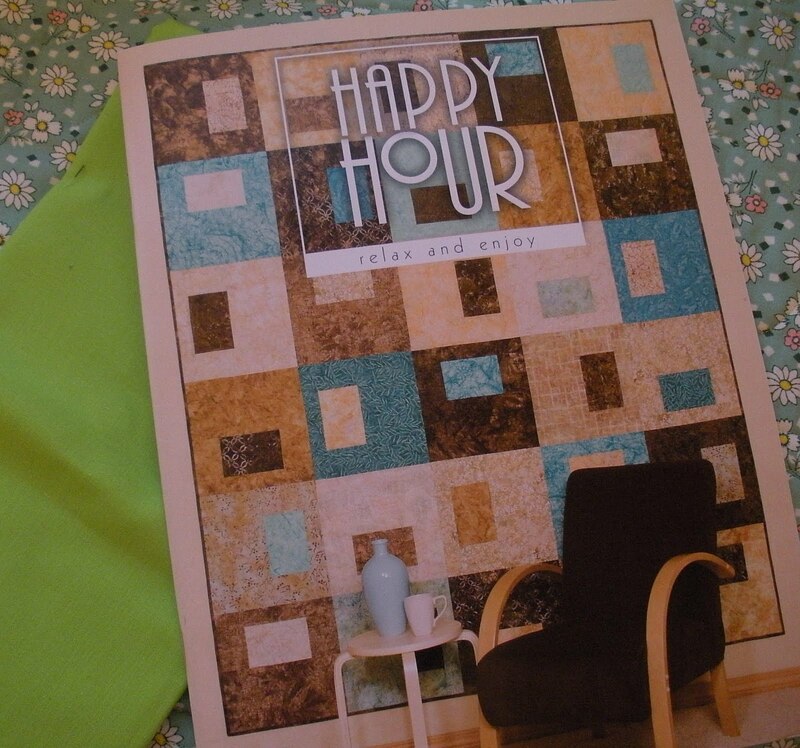 I love that Happy Hour design. I can't wait to see yours in that great Kiwi! I love the colours and the pattern you have chosen. I have had that pattern and forgot about it. I was looking for something to do with my b&W material that I got for my birthday. I love the colors. What shop are you making the sample for? 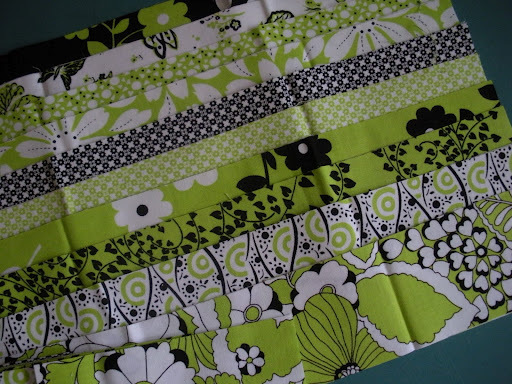 That Kiwi quilt will be great – love the fabric! The dress form quilt looks familiar! – I love the one yu made for me. And having seen your new set-up, I want to go to IKEA RIGHT NOW. Happy packing, Doris; hope everything goes well. I saw that Kiwi collection the other day and fell in l-o-v-e with it. The new sewing area looks fabulous. You will have such fun organizing those cubbies. I think I might have that pattern book. I love the fabrics you're putting together for your new project. Your new studio is quite fabulous! Looks like you have great counter space for spreading out. Terri Adkinson's patterns are so well written. 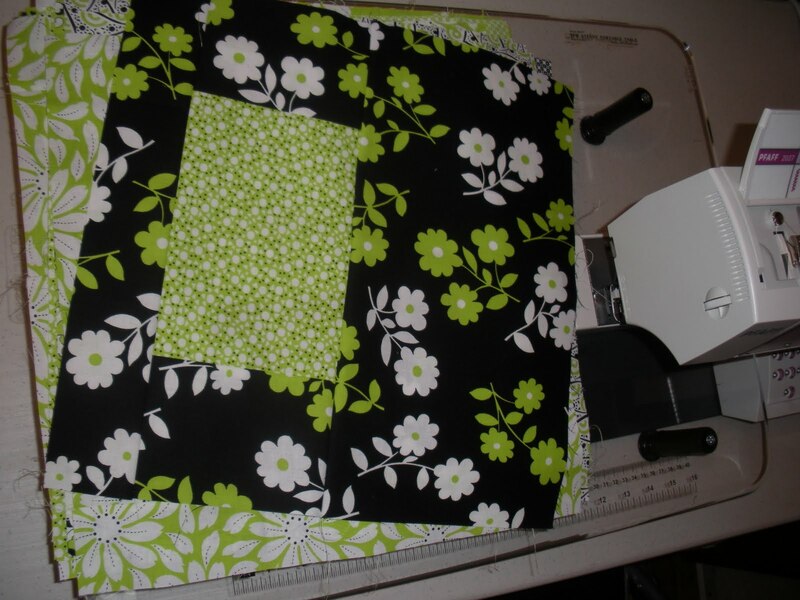 The Kiwi quilt is going to be cute. Love the Ikea idea for a sewing space! How is the height? Do you think you'll cut a drop in space for your machine? I have the pattern but I've never made it. I love the colours. Have fun with the new set up. It looks ideal. …oh and I have been drooling over that expedit bookcase. I think no craft room should be without it!